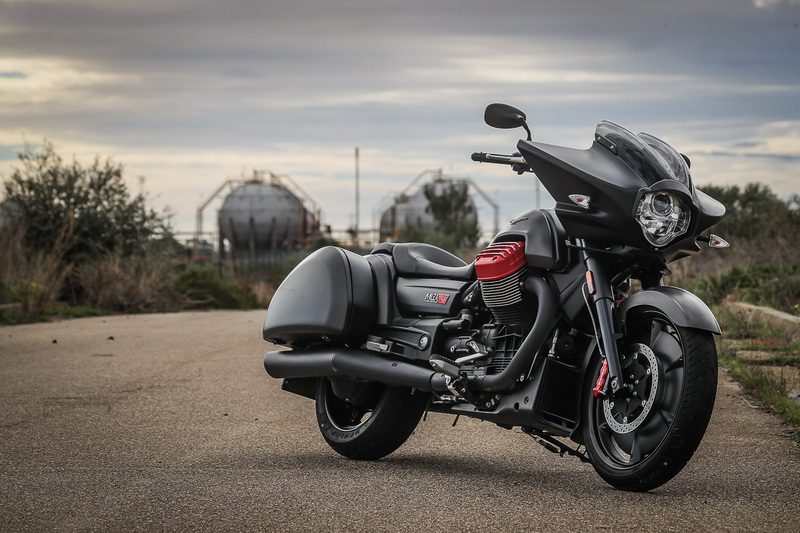 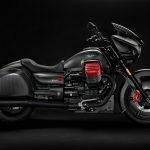 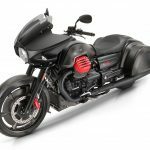 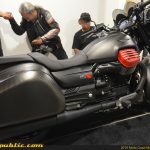 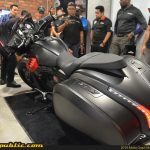 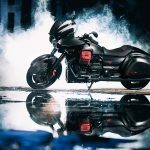 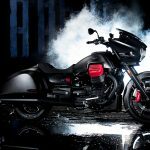 Moto Guzzi Malaysia has offically unveiled the 2019 Moto Guzzi MGX-21 for the Malaysian market. 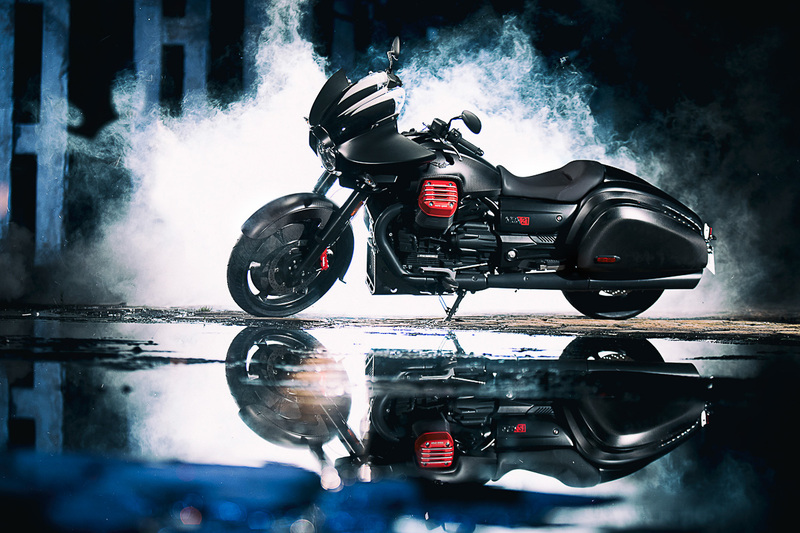 The state-of-the-art “Flying Fortress” is powered by a 1,380cc 90° V-Twin Big Block engine with 96.6hp and 121Nm of torque. 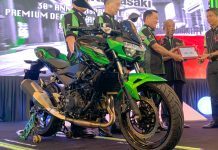 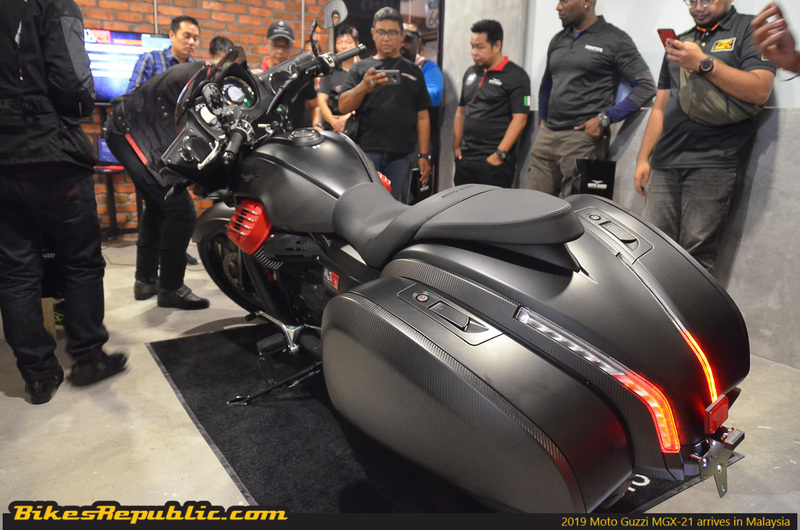 The recommended selling price has been set at RM172,000 (without tax or insurance). 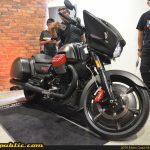 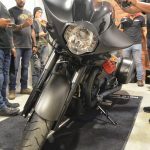 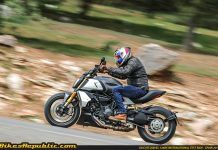 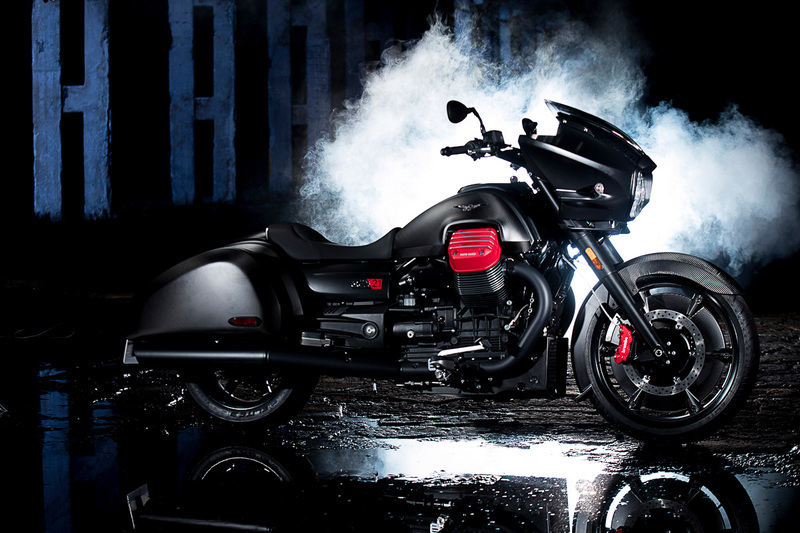 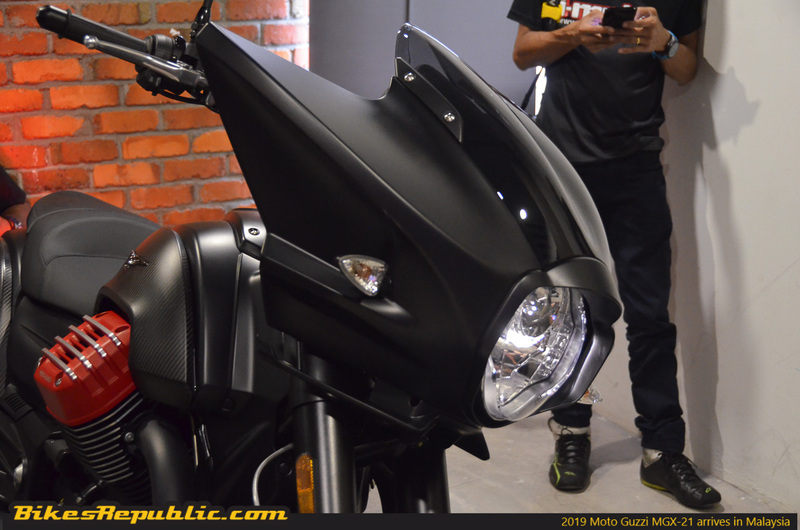 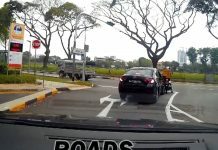 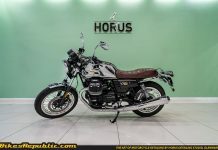 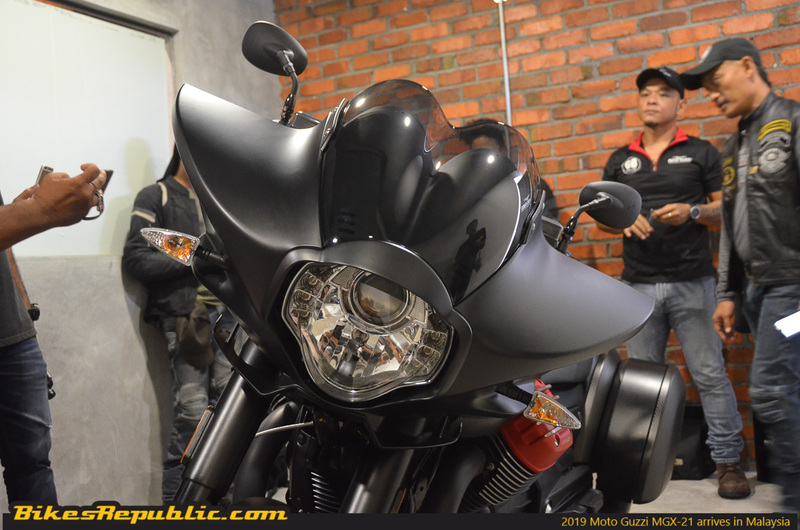 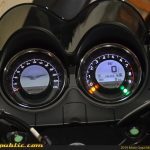 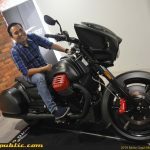 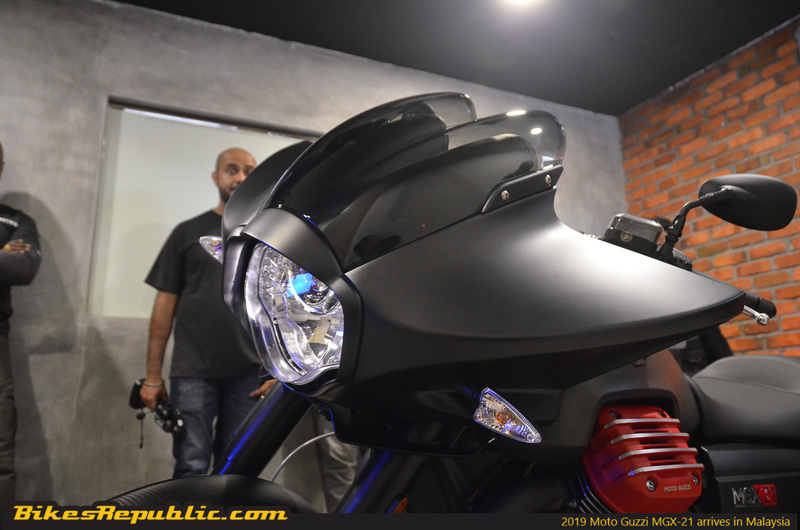 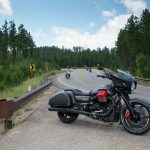 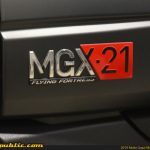 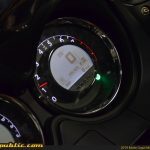 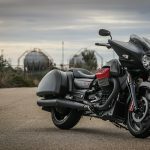 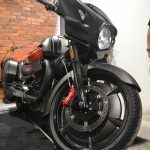 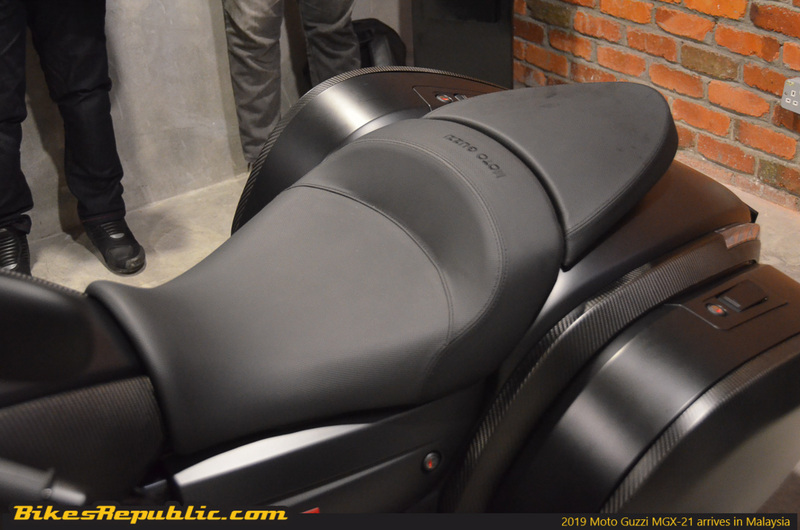 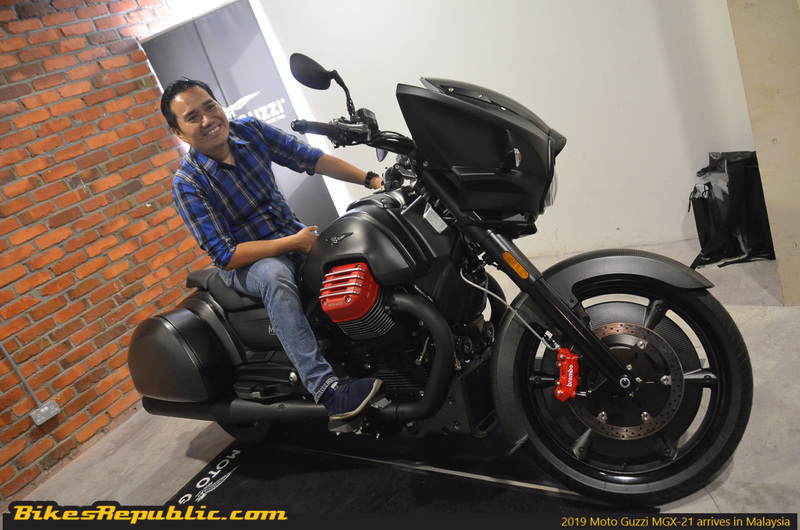 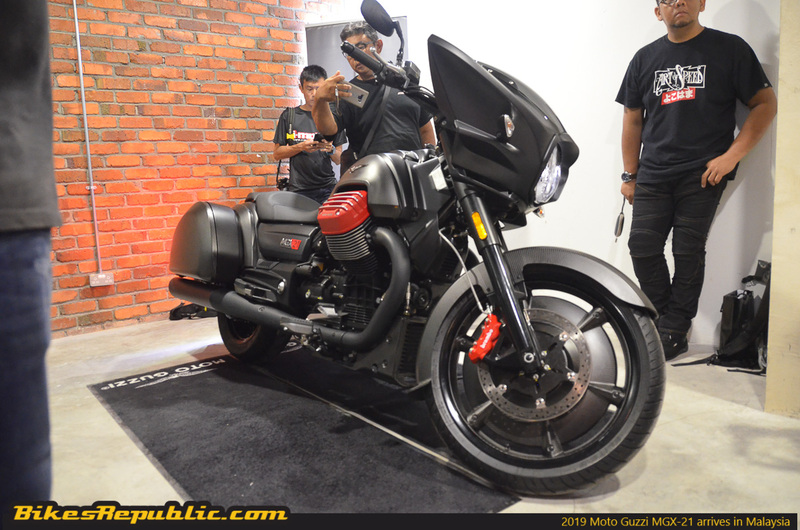 Moto Guzzi Malaysia which is brought to you here in Malaysia by Didi Resources Sdn Bhd has officially introduced the brand’s latest and most advanced model yet, the 2019 Moto Guzzi MGX-21. 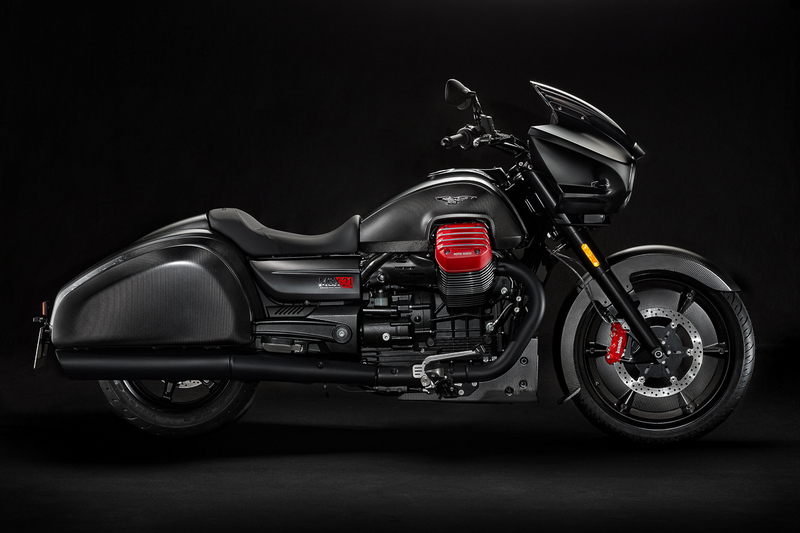 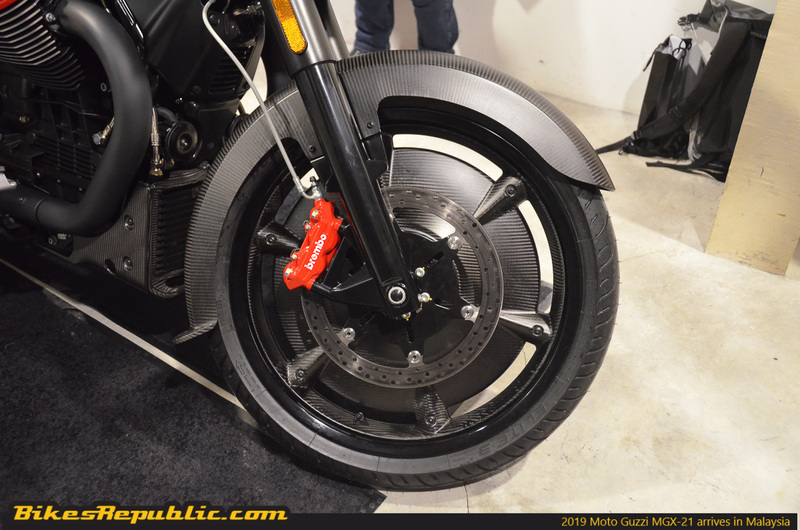 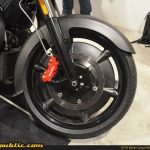 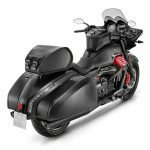 Dubbed the “Flying Fortress”, this is the next step in Moto Guzzi’s technological advancements when it comes to their world of two-wheels. 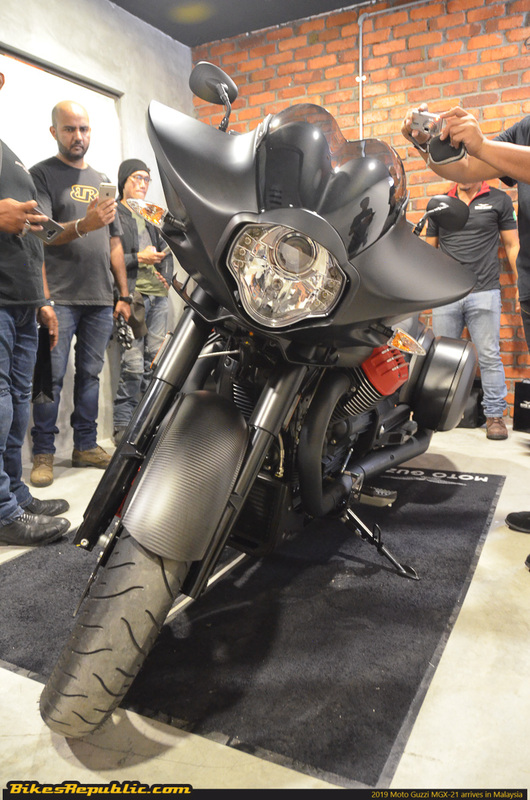 Just from its stance alone, the MGX-21 is covered with carbon fibre goodness from top to bottom which wraps around a monstrous 1,380cc 90° V-Twin Big Block engine. 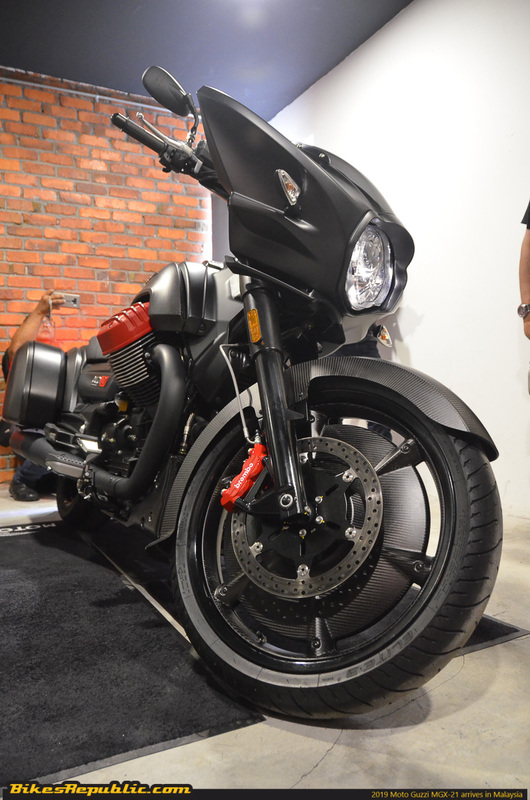 This behemoth of a cruiser is able to produce 96.6hp @ 6,500rpm and 121Nm of torque from 3,000rpm. 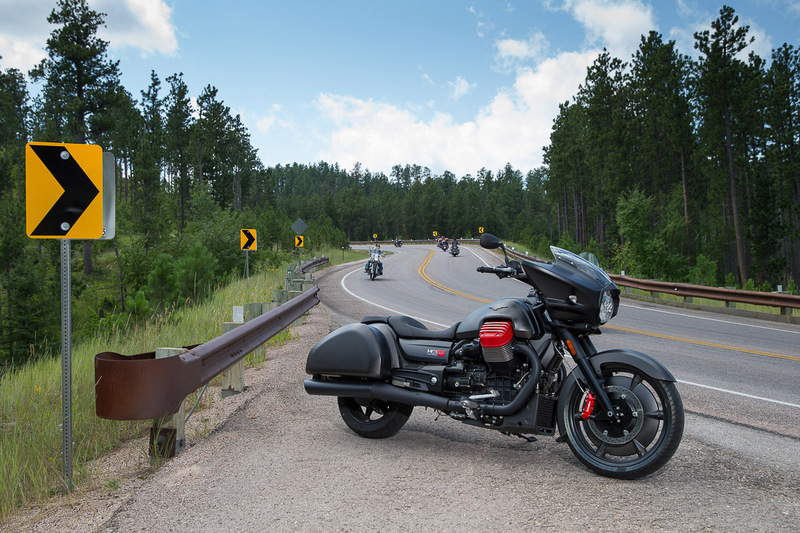 That’s more than enough to have a good time on the wide-open road. 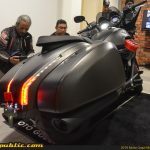 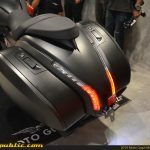 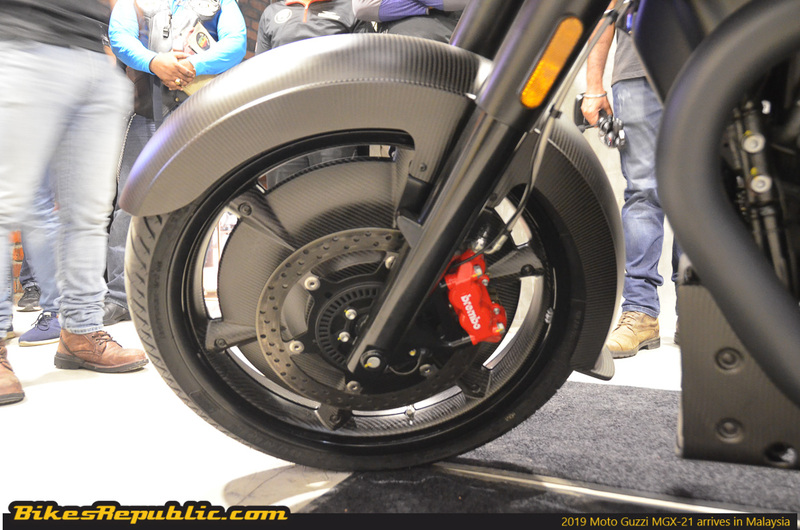 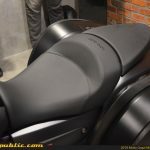 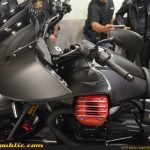 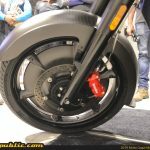 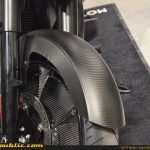 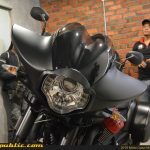 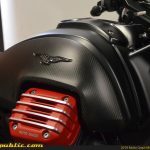 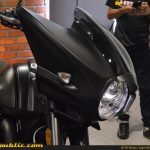 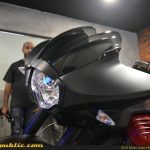 This goes exceptionally well with the bike’s overall futuristic touring bike look, especially its ‘Batwing’ like front fairing which was designed using Computational Fluid Dynamics technology. 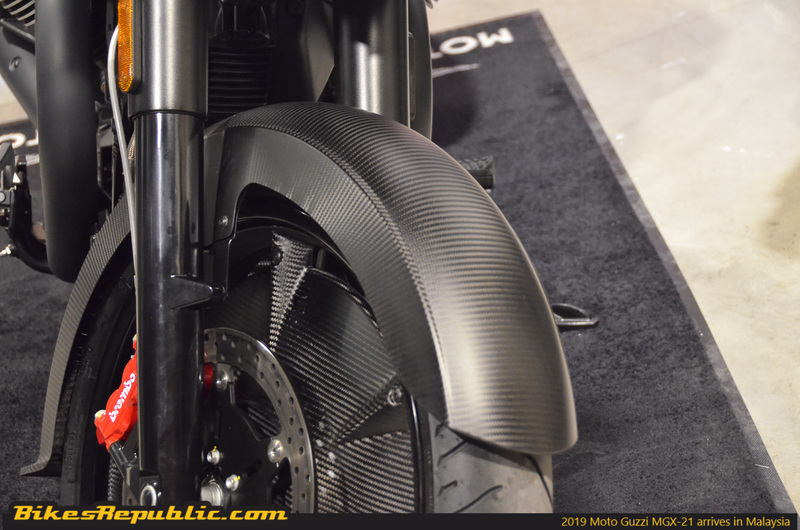 This resulted in a very efficient aerodynamics package that offers a great overall riding experience for future owners. 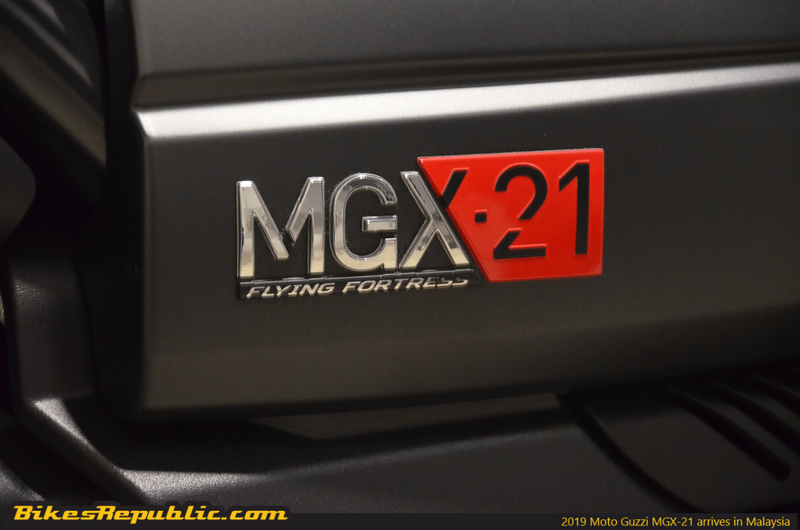 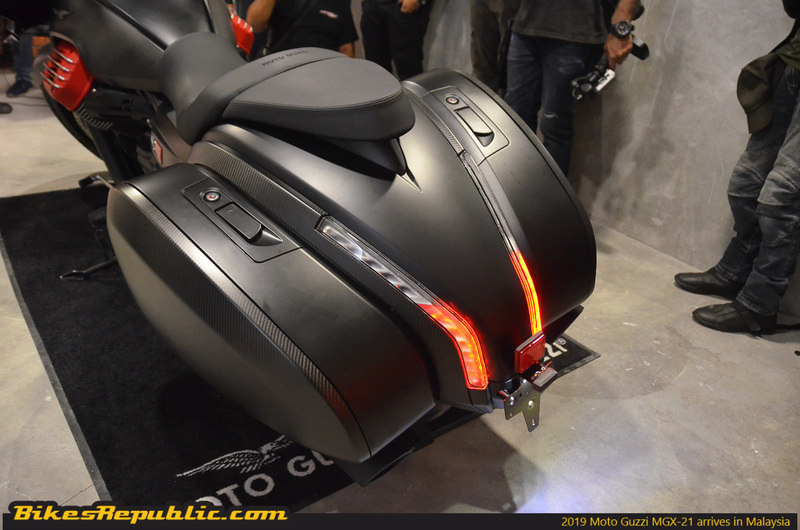 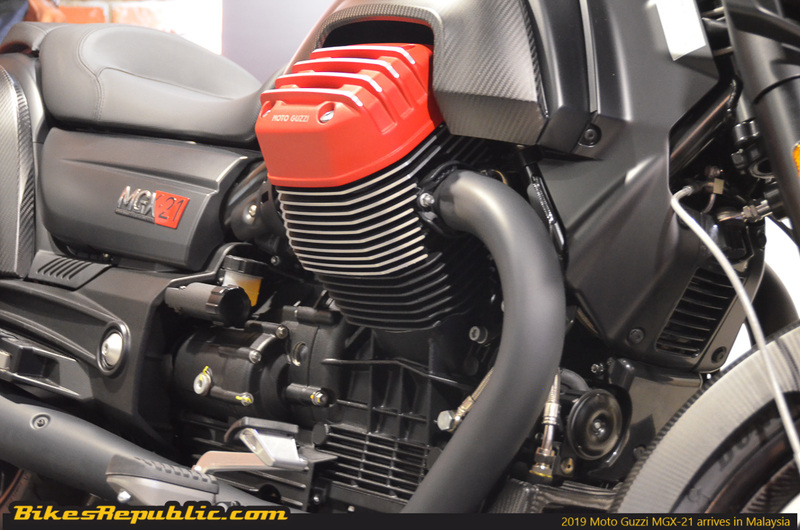 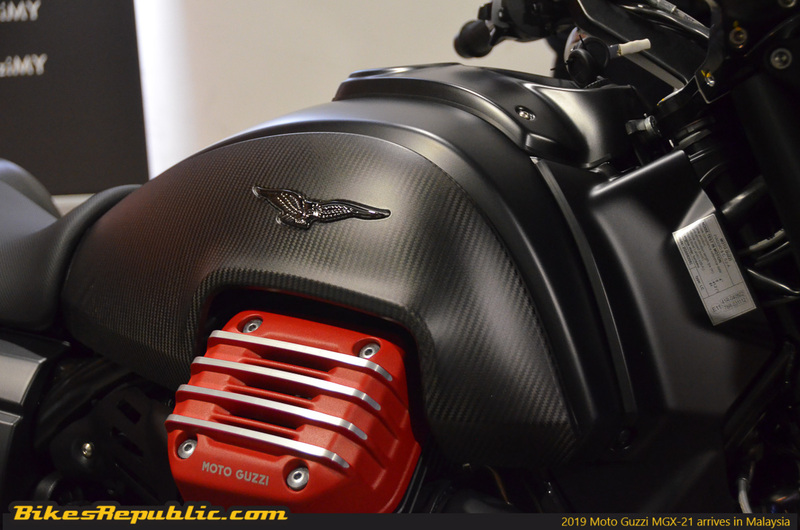 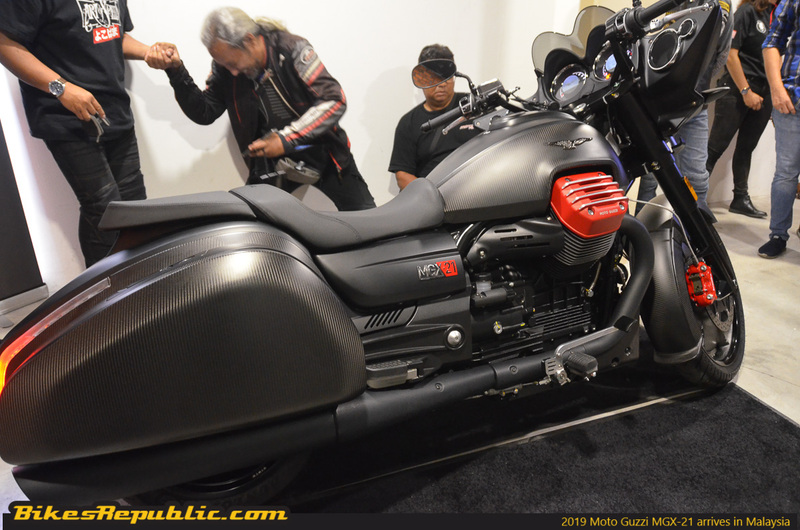 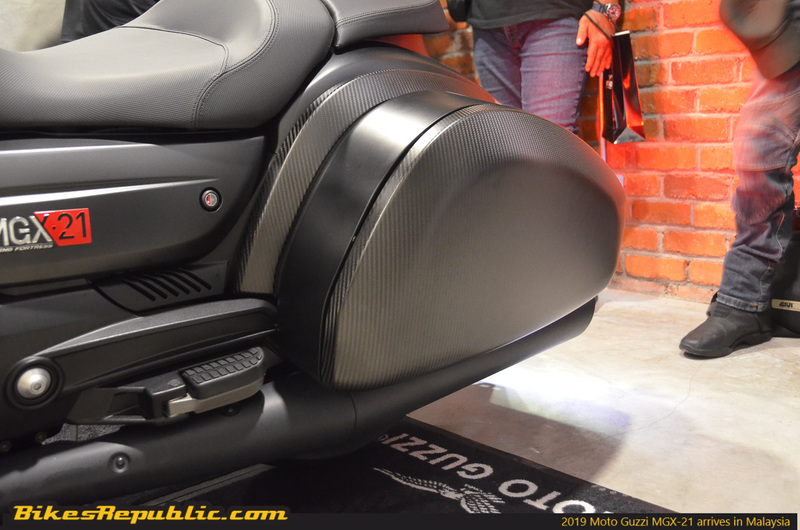 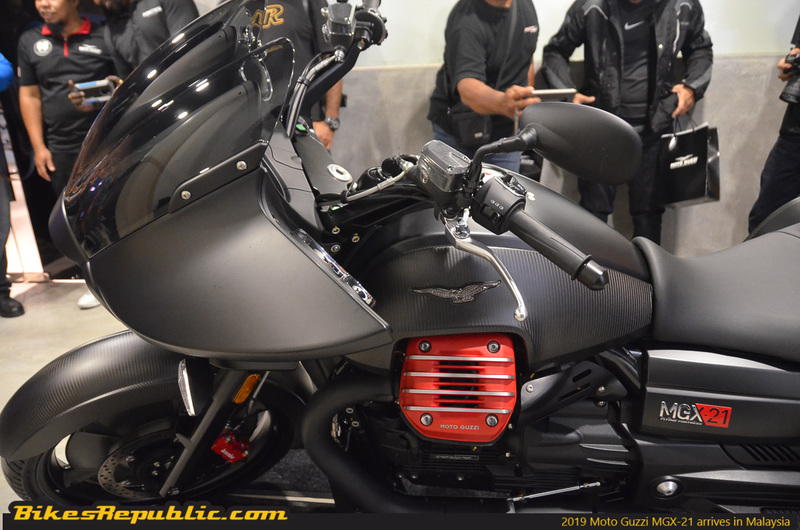 Considered to be one the most unconventional, rich, and technologically-advanced grand cruisers to ever rolled of for the factory in Mandello del Lario, the 2019 Moto Guzzi MGX-21 comes ready with specs such as state-of-the-art electronic management with ride-by-wire throttle, selectable power maps, evolved traction control, Cruise Control, plus many more. 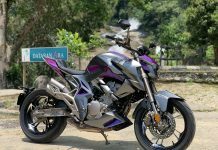 One of its most impressive features has to be its front 21-inch alloy wheels which comes prepared with lenticular carbon fibre protection that is both stylish and provides increase in performance, particularly the stability department. 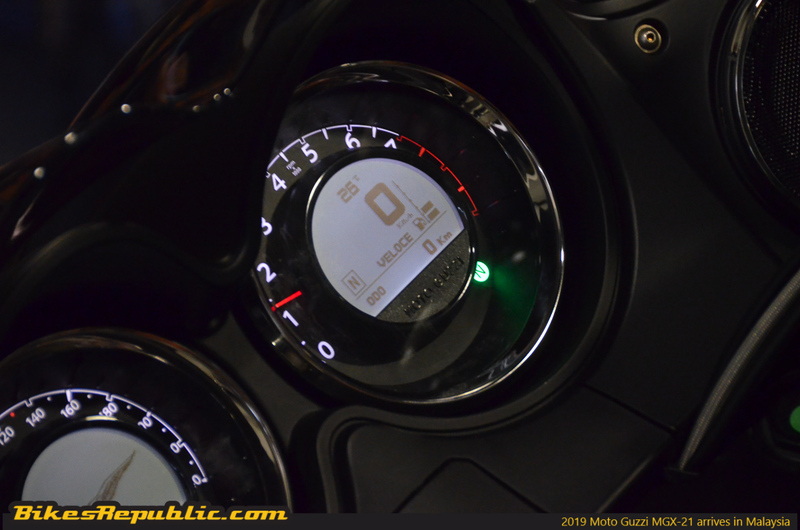 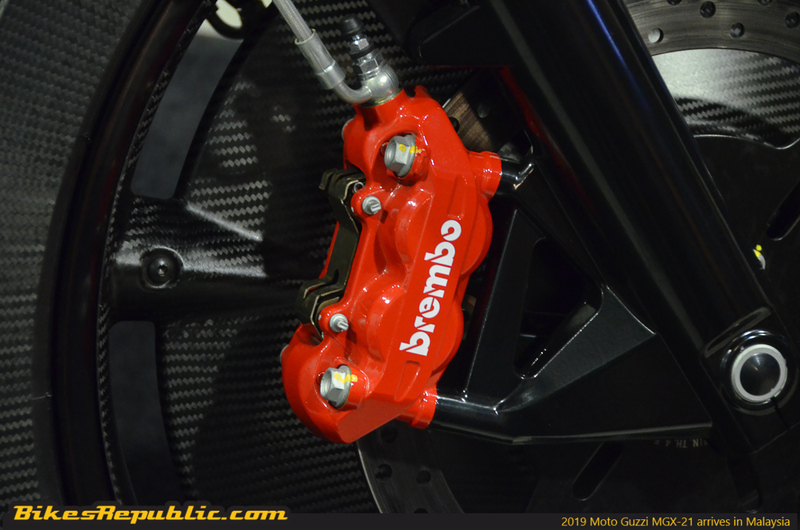 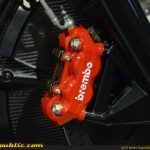 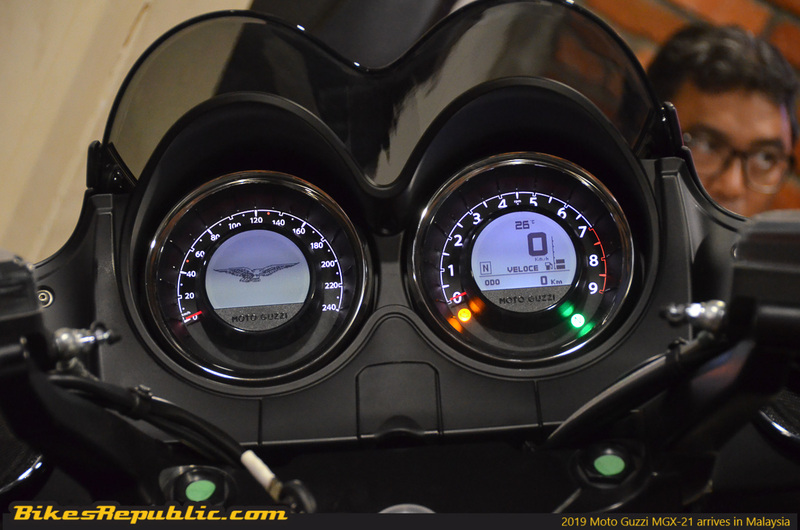 This feature goes exceptionally well with the bike’s three different engine maps setup which are VELOCE (fast), TURISMO (touring), and PIOGGIA (rain). 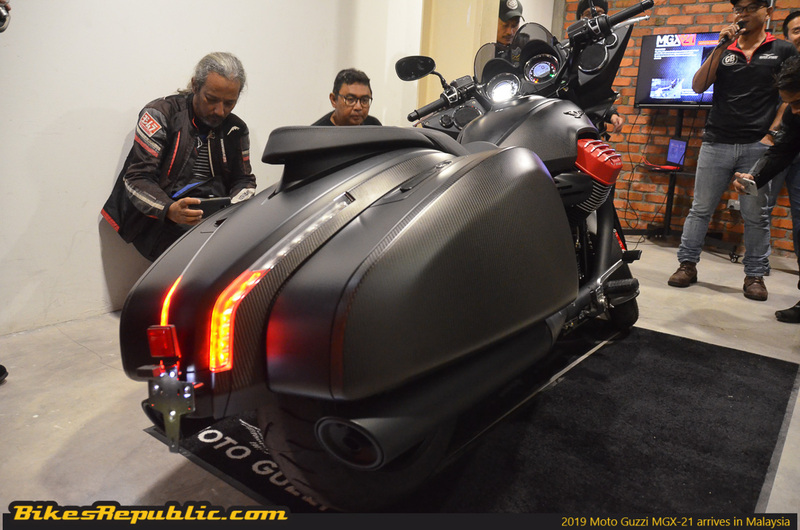 Those who are interested can visit any of Moto Guzzi Malaysia’s authorized dealers located across the country as the recommended selling price has been set at RM172,000 (excluding road tax and insurance). 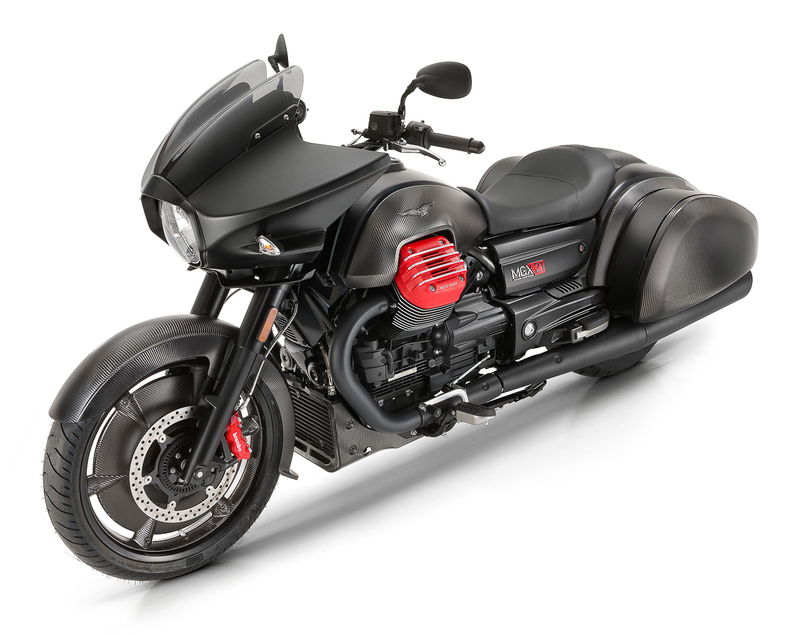 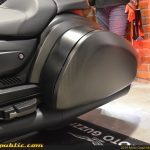 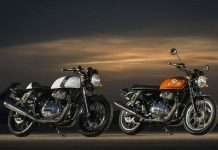 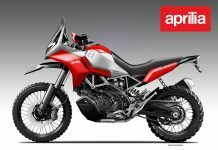 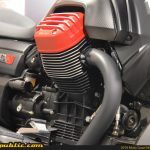 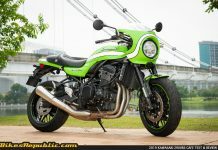 For more information, head over to www.motoguzzi.com/my.